Victoria, BC – After four exciting days of competition at the Canadian Swimming Trials, Swimming Canada named its national team for the Pan Pacific Championships and nominated athletes for the Commonwealth Games. The meet wrapped up in style at Victoria’s Saanich Commonwealth Place as Ryan Cochrane won his signature event, the 1,500-metre freestyle, in his home pool. He is one of 36 who will represent Canada at the Pan Pacs in Gold Coast, Australia, in August, and is also one of 30 nominated to swim for Canada at Commonwealth Games in Glasgow, Scotland, in July. Swimming Canada implemented new selection policies this year focused on selecting swimmers with the best opportunity to compete internationally, now and in the future. In some cases, simply winning a national championship at Trials was not enough to earn a spot. “Our selection policies this year for both teams were based on world standards. We set criteria for both teams based on the 16th-fastest time in each event from the Barcelona 2013 FINA World Championships,” said Swimming Canada High Performance Director John Atkinson. Cochrane is one of two Canadians to medal in the pool in Barcelona, along with Hilary Caldwell (bronze, 200-m backstroke), who trains with Cochrane at the Swimming Canada High Performance Centre – Victoria. 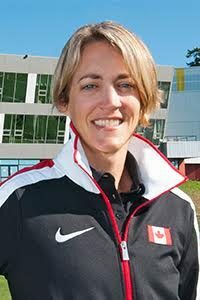 Both will be back with the national team, along with other veterans such as Katerine Savard of Pont-Rouge, Que., who set a Canadian record (57.27) Friday in the women’s 100-m butterfly. In addition to 19 swimmers with national team experience, 18 newcomers will be representing Canada at the senior level for the first time. The Pan Pacs team features 21 female swimmers and 15 males, while 20 females and 10 males are nominated to the Commonwealth Games. Although some familiar former national team names fell short of the qualifying standards, Atkinson expects the new approach to set the tone for Canada’s road to Rio. Meanwhile, Swimming Canada’s Para Selection Committee will be meeting early next week to determine potential nominations to the Commonwealth Games.